Weed culture is changing. And weed marketers are catching up. It’s not so long ago that marijuana use conjured images of scruffy stoners in dimly lit rooms with a mattress on the floor under a Bob Marley poster. The modern image of cannabis is rapidly becoming more urbane and sophisticated. The drug has become increasingly decriminalized in a number of states and provinces in the U.S. and Canada as well as in Uruguay, The Netherlands, Colombia, Germany, Czech Republic, and Australia. With growing acceptance of the drug as a benign alternative to alcohol, ad agencies are moving to push different marijuana brands to the front of the pack in an emerging market. In the United States, Colorado has always been ahead of the curve with pot legalization. It was among the first states to decriminalize marijuana possession in the mid-1970s, in 2000 it legalized the selling and possession of marijuana for medicinal purposes. And in 2012, Colorado became one of the first states to legalize weed for recreational usages. Since then, the market has boomed. Fortune Magazine reports that the state brought in over $1 billion in cannabis sales in 2016 alone. If the public idea of weed sales was once a guy in a beanie covering long unwashed hair under an unwashed hoodie, agencies and brands are working to change the image into one that presents marijuana as no different than socially accepted vices like coffee or alcohol. Aside from Kalima, agencies like Denver’s Cannabrand are working with sellers to rebrand their images, repositioning the identity for the dispensary chain Mindful as a more artisanal outlet, for example. Mindful’s website emphasizes that its weed wares are “hand-crafted, mindfully-grown” — a positioning one can imagine attracting the farmer’s market, NPR crowd. 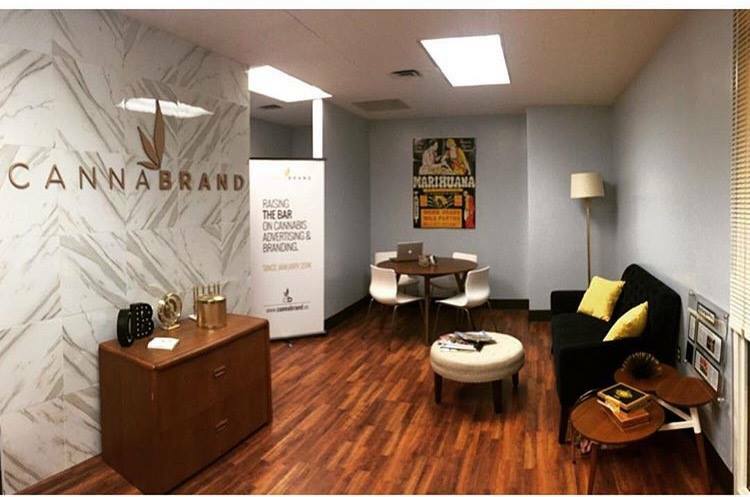 Cannabrand also works with marijuana producers, such as Neos, a company that makes vape pens. The two recently teamed up to create the first television commercial for legal weed in America. One of the state’s largest dispensary chains, LivWell Enlightened Health, has produced ads featuring diligent-looking farmers and scientists to communicate professionalism and trustworthiness. As a former CMO and senior vice-president of digital commerce and social media in the fashion industry, Magallon uses much of her traditional retail and fashion marketing expertise to help her cannabis clients differentiate from the competition. “At the very top of the funnel it is about creating awareness whether you are selling women’s clothes or cannabis,” she says. Facebook and Instagram in particular have seemed kind of “prickly” and shut down some accounts. 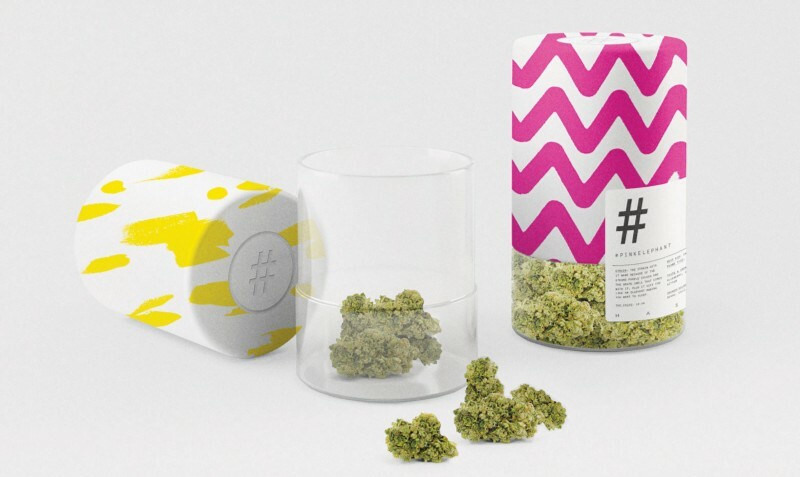 Brands can do PR through influencer outreach, trade media and cannabis friendly websites like Weedmaps and Leafly, as well as events and product seeding. But because the legalization process is still so recent there is a lot of grey area around advertising, which means a lot of testing of boundaries. These days it’s more about begging for forgiveness than asking for permission, she says. Mid-funnel, the “learn more” stage of the customer journey, the key is ensuring that the retailers and the dispensaries know enough about the products. Social media is also a good option at this stage, but here too the rules are still forming and Facebook and Instagram in particular have seemed kind of “prickly” and shut down some accounts. “It comes down to getting your product into a dispensary that will recommend your product based on what the customer is looking for,” she says. You have to educate the people working in the dispensaries so they know which of your products is good for insomnia, which is for chronic pain and which one helps with anxiety and so on. At the bottom of the funnel, where brands want to re-engage with customers already aware of the brand, email marketing is effective and more direct social messaging. 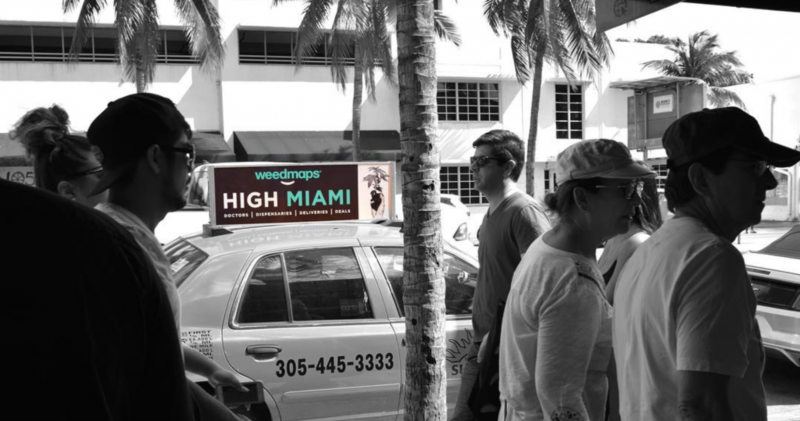 Retargeting and display advertising could even be an option soon, with one ad network in Southern California adding cannabis friendly sites so marijuana marketers can show their display ads to people who have shown an interest in their brand. In part because the market is new, the recognizable brands so far are usually associated with celebrities like Bob Marley (Marley Natural) and Snoop Dogg (Leafs by Snoop). But that too is changing with brands working to polish their image and elevate the brand experience. The dispensaries themselves are starting to look more like boutiques than the seedy weed shops that sprang up in the earliest days of legalization with bars on the windows and burly armed bodyguards.